Course Website: Official Website - Visit The Boulders (South)'s official website by clicking on the link provided. 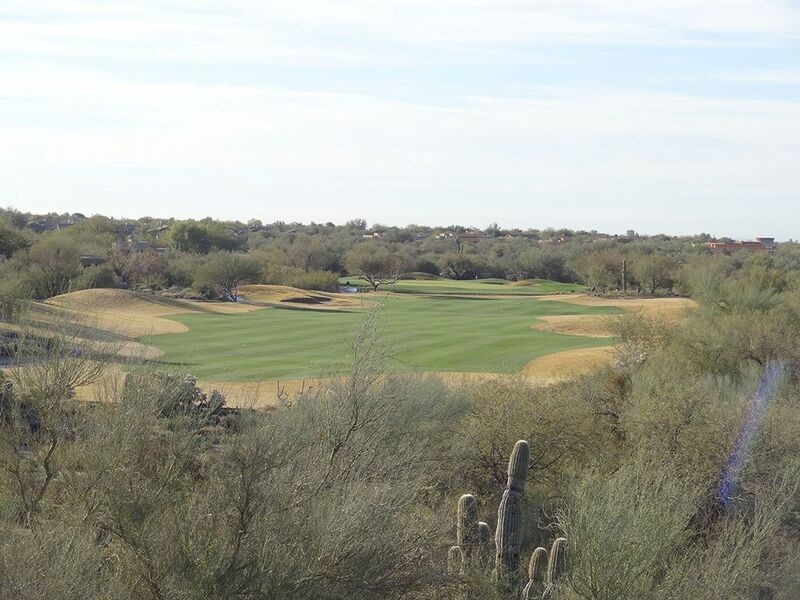 Accolades: Ranked 13th in Arizona on Golf Course Gurus' Best in State list. 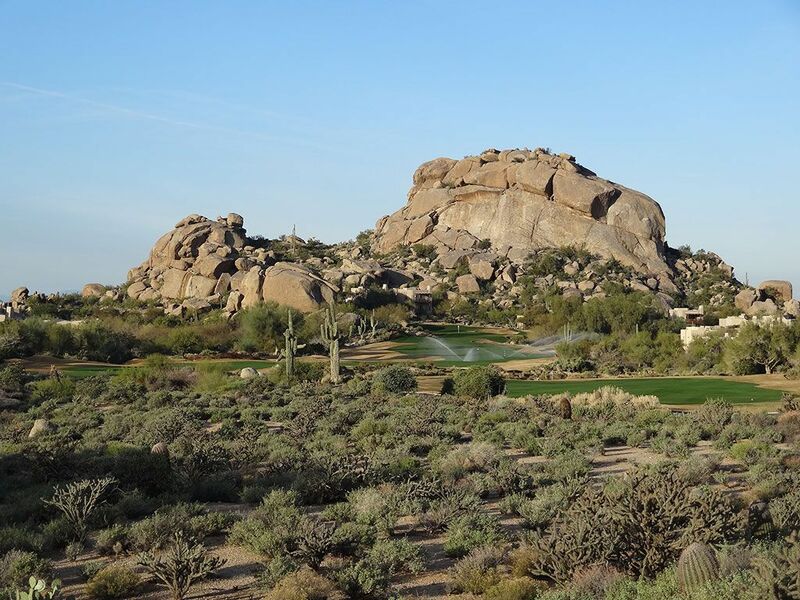 What to Expect: Boulders is a rather appropriate name for this golf course that boasts large rock formations throughout the course with the most impressive groupings being found behind the greens. 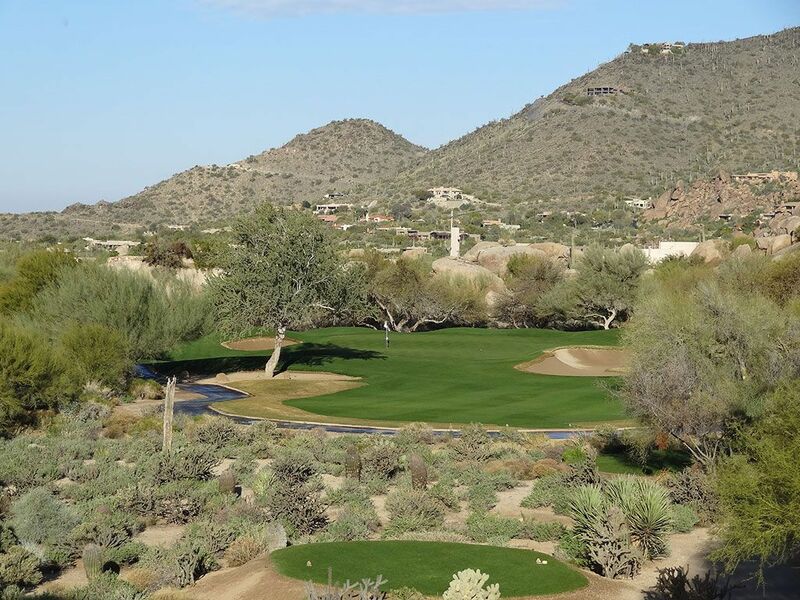 The desert landscape features an impressive collection of native vegetation including majestic saguaro cacti that frame the crisscross cut fairways. Water comes into play on a handful of the holes with forced carries being found on virtually all of the back tees while the forward sets of tees are much more receptive to less aerial drives. The course is kept in exceptional shape, particularly for a public course, which combines with the complimentary driving range as nice additions to the experience. You'll likely want to take a cart for your round as the routing results in several spots that require extended travel to get from green to tee in an unconventional way. 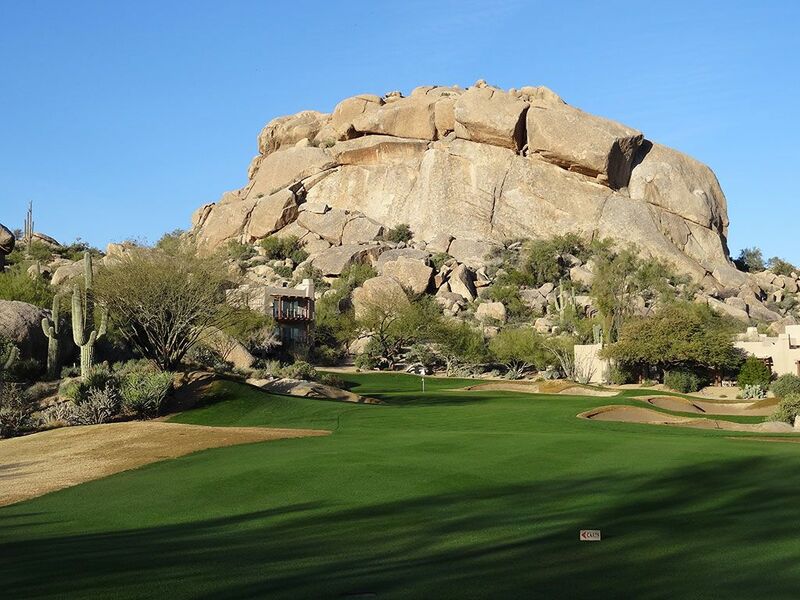 With an extraordinary hotel/resort on site and 36 holes to play, the Boulder is one of the premier facilities in Arizona to visit. Signature Hole: 7th Hole – 187 Yard Par 3 – With the iconic stacked boulders that helped inspire the course's name resting behind you, players are perched on an elevated tee with a great view of the green nearly 200 yards ahead. The putting surface is protected by bunkers, one of which has a cactus within its borders thus creating a unique double hazard to contend with. The large tier in the middle of the green can create some unique putting situations depending on the pin placement. 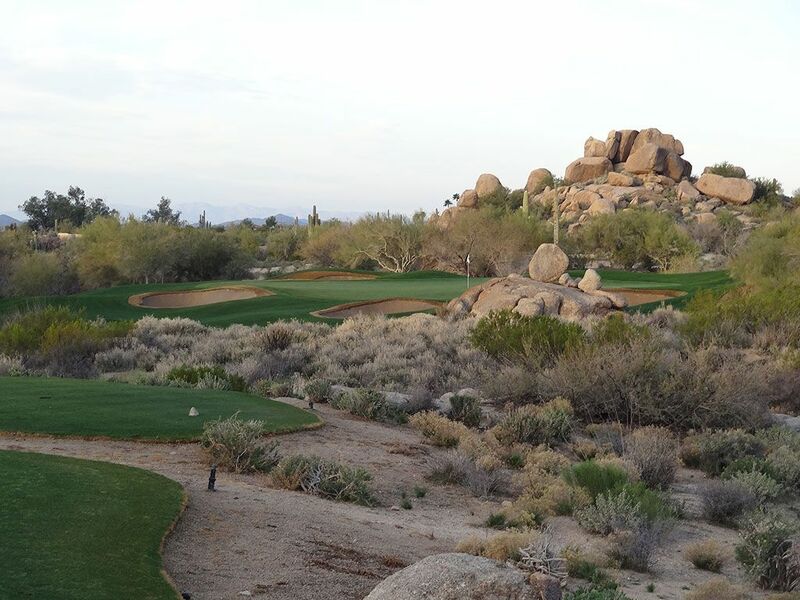 Best Par 3: 2nd Hole – 150 Yards – The short 2nd hole is features a trio of bunkers around the putting surface that pair with a pile of boulders in front of and behind the green. 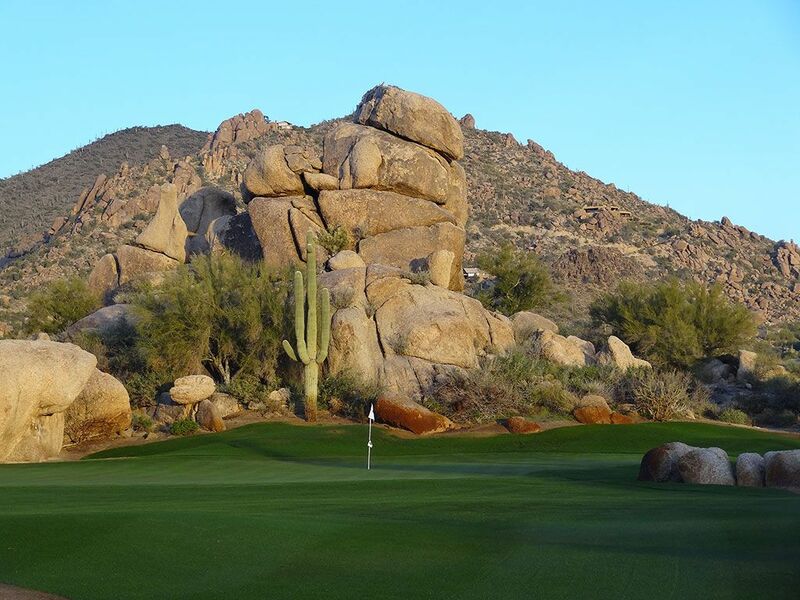 It is a quick introduction to the unique Arizona desert landscape that will be highlighted throughout the round. 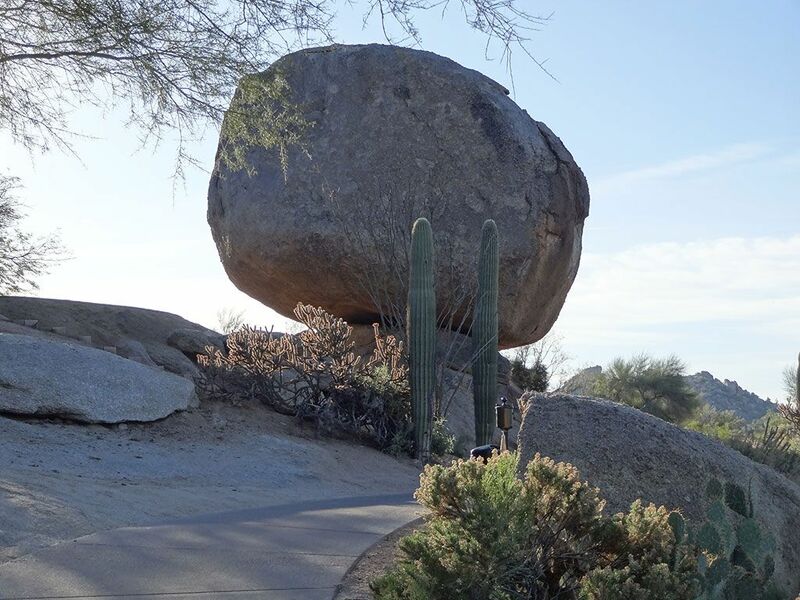 Best Par 4: 1st Hole – 421 Yards – Golfers are introduced to why the course is called The Boulders right off the bat at this Scottsdale track. 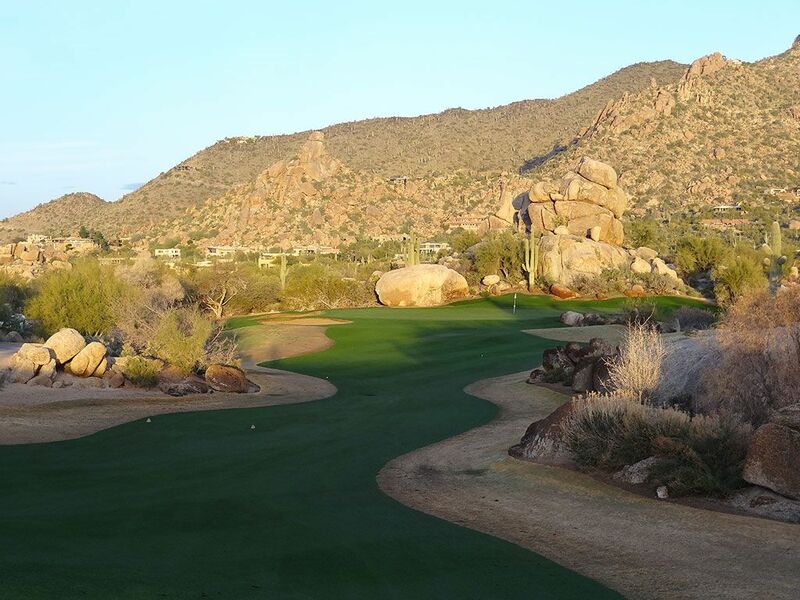 This dogleg right is pinched in the landing zone by a collection of rocks encroaching on each side and the approach shot plays to a green site that is framed in the background by a 40 foot tall formation of boulders that is as impressive as it is attractive. Best Par 5: 5th Hole – 545 Yards – Another incredibly impressive boulder formation is found at the end of this hole and features one of the most attractive views from the tee. A double fairway is offered with the safe play being to the fairway on the right while long ballers may choose to challenge the forced carry up the left side in an effort to shorten the hole and reach the green in two. 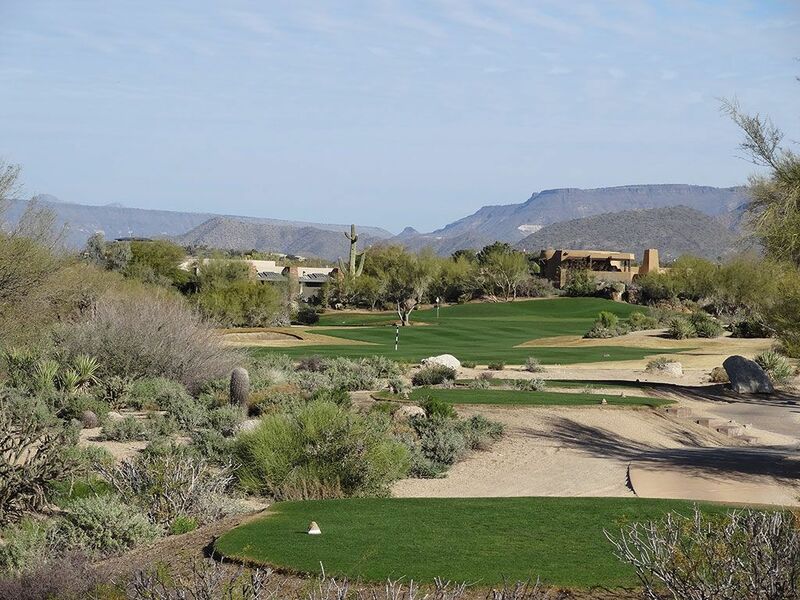 Saguaros frame the fairway as it narrows and climbs uphill to a green site that you won't soon forget. Birdie Time: 12th Hole – 321 Yard Par 4 – Under the proper conditions this hole can be reached from the tee thus unveiling a rare eagle putt opportunity. The left side is protected by a tree while the right side is wide open and the superior line to take when trying to chase one up on the putting surface. With little fear, this is a great opportunity to grip it and rip it on your way to carding a birdie. Bogey Beware: 8th Hole – 455 Yard Par 4 – A par five for the ladies, this stout two-shotter is challenging test leading shortly into the turn. Though only one fairway bunker exists, players need to swing in control to ensure an approach shot from the fairway in order to raise the percentage of avoiding the crossing hazard short of the green. More trouble exists left of the green and should be played away from for any chance of avoiding bogey.